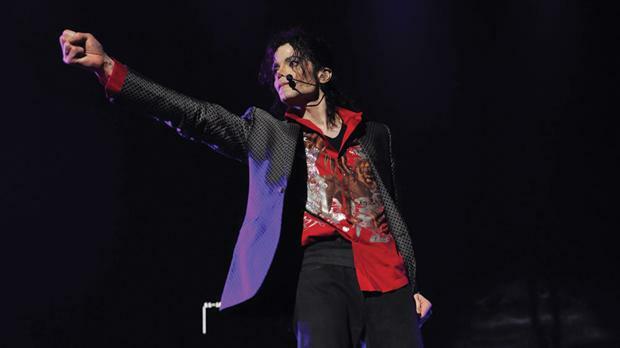 It’s been just over five years since the untimely death of the King of Pop, Michael Jackson. Words were said. Jokes were made. Stones were thrown. Vultures circled. Now that there has been some space since Jackson’s passing, I can’t think of a more fitting tribute to the powerful and mesmerising career of a truly trailblazing artist than last year’s Xscape. 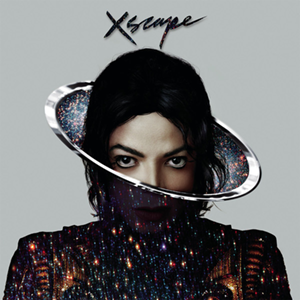 Unlike 2010’s Michael, which took unfinished recordings for an album he’d been working on before his death and saw them ‘completed’ for posthumous release, Xscape is not a ‘found record.’ This record was made by scouring Jackson’s vaults for the very best of his most finished work for albums past. The difference being that most of this material was pretty much finished but for some reason didn’t end up on the albums they were meant for. The material for Michael was unfinished and probably would have mortified the perfectionist Jackson, whereas what would become the Xscape tracks featured completed vocals, which Michael always recorded last after the songs suited him, indicating that these tracks meant a great deal to the artist. The tunes were touched up in studio and contemporised to present the album as if it were Michael Jackson now. Still schooling pretenders. Opening the album in the best possible way is the superb post-disco tune “Love Never Felt So Good,” replete with grand disco strings and a brilliant rhythm that harks back to the Thriller era the song’s bones were recorded in. The song’s hooks represent the gift Michael had with sheer hit making — even a song cut from Thriller is catchier than bloody hell. I’m especially thrilled that the version included on the album is the solo one, and not the single release featuring Justin Timberlake. Not that Timberlake isn’t good at what he does, but I find him singing a duet guest spot where you know one didn’t really exist is a little like above average karaoke. It doesn’t feel natural. The mix is also gaudier. I appreciate that they were trying to market Michael to a younger audience who might have unfortunately been made to think of him as a laugh, but Michael Jackson does not need the likes of Justin Timberlake to prove anything. The second track, “Chicago,” is a really groovy tune with an emotionally charged performance, even if it does smell of producer Timbaland’s same old tricks (the ‘merps’ in the background… see OneRepublic’s “Apologize,” Nelly Furtado’s “Say It Right,” etc.). In the end, Timbaland delivers a catchy modern pop song, as he usually does, but he does, understandably, insist on leaving his trademark more often than not. At the very least he was smart enough not to introduce himself on the track. “Loving You,” is currently my favourite on the record. It has that magical old school big disco pound to it but also features modern electro rhythms, deftly bridging the gap between early and modern post-disco. The delivery of the vocals oozes neo-soul and Jackson’s raw ability to capture, even with repetition. He ends the song by taking the reins and improvising in the succinct and powerful way that he could always do so well. Michael Jackson takes on America’s “A Horse With No Name” in his reinterpretation, “A Place With No Name,” a brilliant gem that is homage rather than cover. A very modern and driving bass rhythm beds Michael’s subdued vocals in the very intriguing verses, while electro strings, claps, and an exceptional little hook provide the perfect launchpad for a more powerful vocal delivery. In utter reverence to Michael Jackson’s skill, both at physically singing, and at timing and arrangement, I must point out how his vocal delivery becomes more and more emotionally charged and plaintive as the song progresses, verse after verse. The bridge section features the most impressive use of soul in his vocal technique. There is so much personal feeling in this section that it lends a terribly haunting reality to the otherwise fantastical theme. One chorus later, the tune effortlessly incorporates the motif from America’s tune. To my critics, this is Michael Jackson acting very progressively. “Slave to the Rhythm” is the most stunningly modern of Xscape‘s tracks. Beginning with a melodramatic bit of strings paired with the sound of the dragging of chains, the tune quickly shifts to a spectacular modern electro intro. The presentation of this tune as an ultra-modern, Timbaland-helmed single shows off how well Michael’s sound translates into the modern landscape, and, indeed, how much he has influenced the modern sound. It’s no wonder his sound dances so effortlessly within modern pop music… post-Thriller pop music has always just been an expansion of what he set down in the first place. In my opinion, the album kind of takes a downward turn after this, with the weakest material smartly placed at the end. There are significantly less standout moments on the final three tracks. “Do You Know Where Your Children Are” provides a bouncy hook and a big chorus, and its mid-section features a trippy electro moment, but it lacks the strength of the previous tracks. The final two don’t do a great deal of registering with me either, I’m afraid. In closing, Xscape is great as both a tribute to a fantastically gifted artist and his effect on the modern pop landscape, and as simply an album in its own right. Because of the nature of its genesis, the record does feel a little disjointed at times, but its playing out like ‘greatest hits that never were’ should be severely thrilling for fans of the King of Pop’s legendary career. I’d like to hear more artistic post-disco and neo-soul in the near future (there are already promising examples in Japan Soul, The Rooks, and Capital Cities), and Xscape provides me with the hope that more modern artists might jump on the bandwagon. Just, please, no copycats.